Last week I wrote about the International Astronomical Union (#IAU) General Assembly taking place in Rio de Janeiro, to which I was headed. Most people, if they even ever heard of the IAU only know it for its role in the demotion of Pluto at the last General Assembly three years ago. Even I was not entirely sure what to think. I’m not a member of the IAU (mostly because I have never quite gotten around to filling out some form at the right time) and had never gone to one of the General Assemblies before (including the infamous one three years ago where Pluto was discussed; I was instead on vacation in the San Juan Islands outside of Seattle). 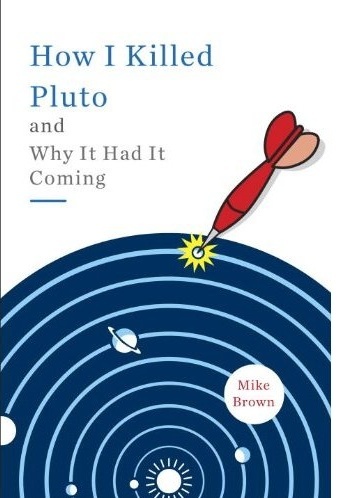 I have had my share of frustration with the IAU bureaucracies in everything from the stupidity of the way they originally tried to ram Pluto-as-a-planet down the reluctant throats of astronomers (to which the astronomers, who will thus always have my admiration, revolted) to their ridiculousness of their official list of dwarf planets (I will rant about that at a later date, no doubt), to their shameless lack of interest in resolving – one way or another – a case which was either egregious scientific fraud (against me) or equally egregious scientific bullying (by me). 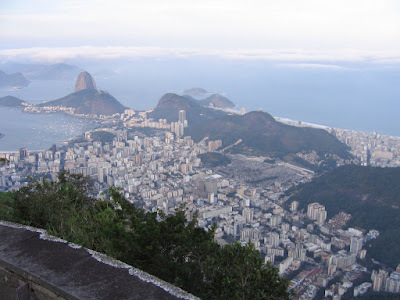 My intentio n in Rio was simply to go to the special scientific sessions on Icy Bodies in the Solar Systen (somewhat of a specialty of mine) and avoid any IAU-ness. In my mind it was simply yet-another large scientific meeting, this time spread over too much time (two weeks! far too much time to take away from the family), and too many topics (the solar system to the edge of the universe and everything in between and then more). I went, though, because I had been invited to give an extended talk on dwarf planets, and because I thought there might be Pluto shenanigans that I didn’t want to miss out on this time. I think it is fair to say that I went in with a bad attitude. Reflecting about all of this on the flight home this morning my main reaction is a little bit of sadness that it took me two or three days to come to the realization that there were amazing things being talked about in every little corner of the IAU meeting. Yes, I learned about icy bodies: the delivery of water to the early earth, the potential interior structure of Titan, the presence of things that look like comets in places that should be reserved for asteroids. And I got to ask some colleagues a few key questions that had been nagging me. (Is it possible that in the early solar system things from the Kuiper belt got mixed out to the asteroid belt? I, unfortunately, was told “no.” Scratch one idea I had off the board.) I even got to finally meet some colleagues from Brazil and Uruguay who rarely get to travel to major meetings, and we talked about future projects we might do jointly. It’s great being a professional astronomer and a professor. It’s hard to imagine any job that I could have that I would enjoy more. Yet, regardless of how much I love what I do, there are aspects of it that are simply a job. And like any other job there are parts that get tedious. And like most other people, when parts get tedious I get cranky. My Ph.D. students at Caltech have figured this out quite well. One of the necessary evils of being an astronomer is having to write proposal after proposal after proposal, and, according to the lore passed down from student to student, I become quite irritable approximately two days before any proposal is due. They know that it is best not to come into my office with a seemingly trivial question at times like that. As an antidote to crankiness about the job of astronomy or about the bureaucrats of the IAU, I’m keeping my program from Rio with the names of all of the talks and all of the posters from everywhere around the world. Long after I’ve forgotten what I in the invited talk which was the reason I went (“Haumea and her children” was the title, if you must know), I want to still remember all of those people so excited by everything astronomical that they devote their lives not to discovery but to showing it to everyone else. OK, I’m not just going to keep the program booklet, I’m going to try to get into the act. I had a long conversation one evening with an inspiring woman who is involved in more interesting things than I can imagine but who appears particularly excited about bringing astronomy to parts of Africa where there is little to none. She wants to try to set up asteroid-naming art projects for African school children. I can provide asteroids that need names; she knows what to do in Africa. I say hey, @carolune, let’s go. Stay tuned…. Jean Mueller did something like your Africa project recently. She had three of her asteroids named for entities in the Luiseño creation stories. Luiseño are the Native Americans that historically lived in and around Palomar mountain. If you know of asteriods without names, you might get in touch with other Native American groups, too. Laurel: comment deleted. off topic + hectoring. take a break for a while. Mike, that sounds like a fantastic conference. I'm glad the energy and excitement was infectious. I'm so glad you had so much fun in Rio. I worked a conference of the American Astronomical Society in Austin a long time ago, and it was quite a bit of fun. Most customers didn't want to talk about what they do (or even suggest a radio station!) but astronomers love what they do and that makes it very interesting to listen to them. One guy had a project to determine the temperature of the Sun with thirty micron radiation. He said it gave a better result because there were less absorption lines so it was more like a blackbody. And about thirty or so other interesting trips. I trashed a post this morning. I was talking about Ortiz et. al. So far I am aceing my astronomy class. My astronomy professor made an unfortunate mistake the other day (true story). He was talking about Eris and Makemake. Ahd he liked Xena better. I remember reading the article about them in either Sky & Telescope or Astronomy. They were shocked - devastated! - when Mayor and Queloz fixed the last little glitch in their program and found that huge signal from 51 Pegasi that Marcy and Butler had neglected to program for. But Butler (doing the talking) said they got over it pretty quick. I think they were helped in acceptance by the very fact that they had made a mistake. That made it clear that Queloz and Mayor had won the horse race, fair and square. As a result, the misery only lasted one night or so. I am extremely interested in Emily Schaller's paper on the lack of dust on the KBO's. This finding places Eris, Triton, Makemake, Pluto, and Haumea in a special class, differentiated from the other KBO's by their now distinctly larger size. I hope it makes Laurel happy (sounds like she needs a grin :D) - Pluto is a special place again! "(Is it possible that in the early solar system things from the Kuiper belt got mixed out to the asteroid belt? I, unfortunately, was told “no.” Scratch one idea I had off the board.)" Now, THAT'S an interesting comment. Is this statement based on evidence? What evidence? If it's theoretical, then I would like to point out that Kevin Heider did a simulation that brought a Centaur into the inner solar system. On the other hand, when I was filling Neptune's Lagrange zones with comets, it was quite rare to see one get deflected in as far as Uranus. It did happen a couple of times, though. Or was it some kind of observation? What, do comets make different kinds of craters than asteroids? I have no idea - clue us in. Short period comets are about a quarter of all comets (learned today in class) and these were the basis for Gerard Kuiper to hypothesize the belt named in his honor. So the Kuiper belt observably leaks into the asteroid belt today. Are we getting more leakage today than we were four billion years ago? That would be an interesting possibility. Unfortunately I'm probably at my bit limit here and I need to study my Biology textbook. Good night all. You can delete my comments, but I'm not taking any breaks any time soon. Mikeemmert: "No asteroids in the Kuiper belt" is according to Morby, who >really< said no BIG asteroids in the Kuiper belt. Small ones could occasionally get captured by gas drag. But I wanted big ones to explain an off-the-wall hypothesis that I had. The other way around is, indeed, easier. How long can an asteroid live in the Kupier belt before it ices over, either due to outgassing or collisions/accretion?